Hi there everybody. I am happy to see you guys back for another serving of essential oil miracles! You guys already know me but for those of you who are first timers on this site, I am Olivia your chef for the day! I always wanted to say that. Jokes apart, I am not a chef although I can whip up a mean chilly, but I sure am going to be your guide on this journey through the fragrant universe of essential oils. Now, every time we meet, we talk about a health issue and how it is possible to tackle it without reaching out for pills, just with the use of natural ingredients and aromatic extracts. But today, we are going to deal with a different problem. I know for a fact that you will encounter this dilemma! This, I like to call a “base” problem. No, it is not health related, but it is linked to your purchase of essential oils. This one is for all you guys; I mean people who have come to trust essential oils as well as those who have just ventured into the aromatic world of these extracts. At some point, you are bound to get trapped in the debate on organic vs. non organic essential oils. I must give it to both sides; they do argue their stand passionately. 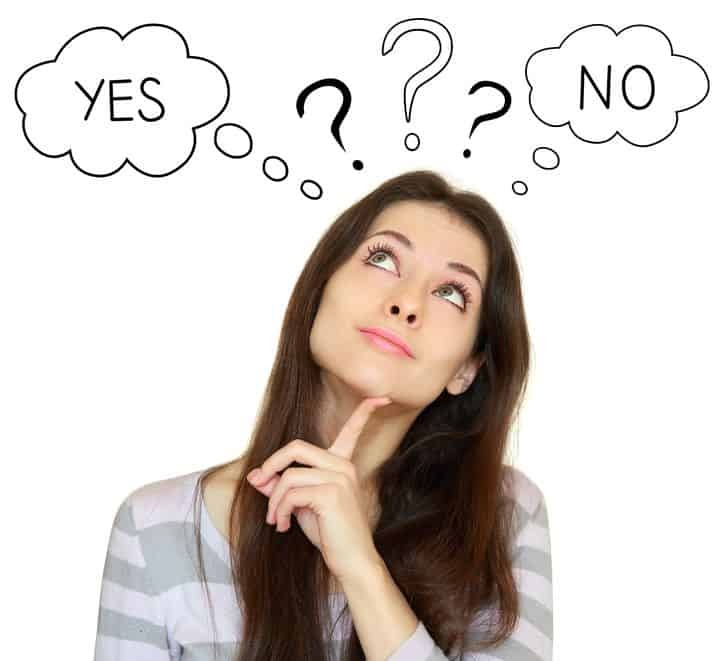 Unfortunately, for the average buyer, all those claims and counter claims turn a simple purchase into utter confusion. To compound the issue, a lot of voices on both sides of the fence come from companies that are selling organic or non-organic oils, meaning they have every reason to claim that their product is the best. So, today I intend to bust right through this argument. We are going to take an objective and logical look at the words coming from both sides and then we will decide which side/oils win. Let the duel begin and may the best oil win! But, why you should spend your time reading this and how does the outcome of this debate impact you! It is your health at stake here. People turn to natural remedies because they are done poisoning their bodies with artificial substances and chemicals that have ghastly side effects. But, what would be the point if the natural treatment you choose doesn’t do any different? It is also your money at stake here. On an average, you will end up paying 40-50% more when buying organic oils, particularly if you buy from some of the more popular manufacturers. So, it is only fair that you’d want to know if the higher price tag is justified. First, let us deal with all that confusing jargon! Organic: With the term organic practically turning into a marketing strategy in itself, this one hardly needs an introduction, so I will keep it brief. Organic EOs are extracted from organically grown plant material. Do not confuse this term to mean that you are getting pure EOs, it indicates one thing and one thing alone that there was no active contamination of the botanicals through the use of chemical pesticides and fertilizers. Non-organic: This is another term that barely needs an explanation. So, I am going to put it in one sentence. With these oils, everything goes, meaning the plants/flowers/fruits have been treated with every chemical product required to increase the yield. Wild crafted: Now, this is the first EO specific term that you will encounter. What it means is that the botanical material came from a wholly natural source, as in a plant/tree that grows in its natural habitat, with no human interference to aid in its growth or to keep pests away. 100% pure: Just because an oil is derived from organic raw materials does not mean it is 100% pure and unadulterated. Multiple distillations and the use of heat and pressure dilute the bioactives in the extract. Also, some manufacturers mix carrier oils and even propylene glycol to keep the costs down. If you see this term on the label, it simply means that no other substance/oils have been mixed with the aromatic extract. 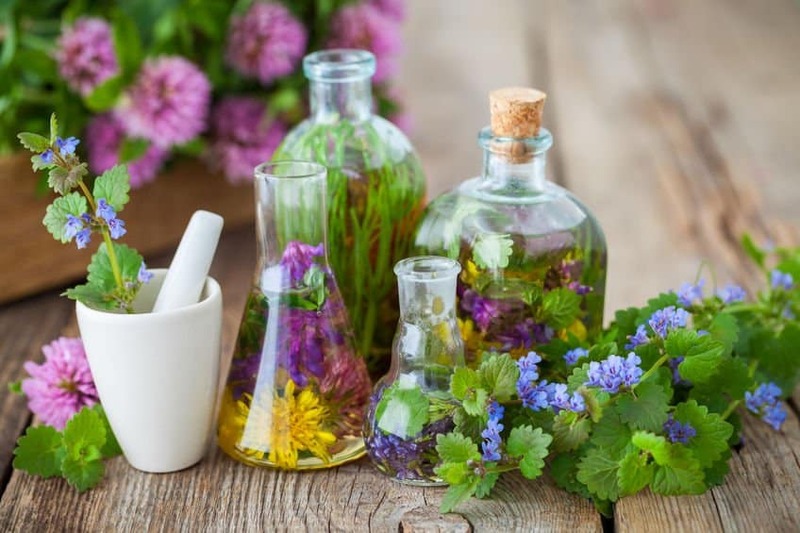 Therapeutic grade: I thought I had cleared this misconception in the guide about buying essential oils, but it seems there are a number of essential oil companies claiming to carry essential oils that are certified as therapeutic grade. There is no such thing as therapeutic grade essential oils nor is there a formally approved grading standard throughout the essential oil industry in the US. All those in favor of organic oils! In their opinion, the chemicals used in the farming process of the botanicals find their way into the aromatic extracts and then into the body, whether the EOs are used topically or taken internally. Many of these chemicals are known cancer causing agents and regardless of how miniscule the extent of contamination, they ask if it is really worth the risk to use such oils.This is the same argument that you get from the producers of all organic products, from vegetables to herbs and from fruits to spices, meat and other edibles. The pro-lobby further questions, what would be the point of going all natural with your treatment when the very products that are supposed to help you defeat an illness cause another or at least put chemicals in your body that are dangerous. The organic favoring crowd also says that growing the plants used for EO extraction organically is better for the environment. Again, a standard argument but the question is who is in control of quality standards here? I mean, how do you know that the botanicals are really organically grown and harvested? I am coming to that a bit later, but first, here are a few problems that I know exist. Will the real organic Essential Oils please stand up! Just because the oil was extracted from organically grown plant matter does not mean it is free of contamination. Let me explain this further. Although steam distillation has been around since the 10th century, and is still used for extracting EOs, it can hardly be called a cost and labor effective method. So, manufacturers who are keen on keeping their profit margins high, are always on the lookout for a process that would give them higher output, and they have found the perfect candidate in a method called solvent extraction. When oils are derived through this method, the output is often several times higher than that derived from steam distillation. But, the chemical solvents used often stay back in the extracts. There is also another common point of contamination which is allowed to pass – Storage. If the oils are stored improperly, and by this I mean stored for too long or in metal containers or are exposed to air and light, there is bound to be both degradation and contamination. In fact, the metal aspect also applies to the extraction process. If the apparatus is made of any other material except for glass or stainless steel, there will be some amount of contamination. Now, here is the million dollar revelation – A lot of manufacturers don’t care about these factors that obviously lead to contamination. A bigger problem is that few are forthcoming about the process they use for extraction as well as the quality control measures in place, which are essential to ensure the integrity and purity of the final product. Plus, if you are dealing with a major manufacturer, you can be very sure that EOs are produced in hundreds of liters at a time, which means that the storage time is also more than that of oils manufactured by smaller companies that produce no more than a few liters. Unfortunately, as the buyer/consumer, you will never get all this information. In fact, count yourself lucky if you even get to know the manufacturing date of the EO you are buying. I’d go so far to say that if the company you are dealing with offers any information on their manufacturing practices, date of manufacture and duration of storage, this is an establishment that is worthy of your trust. That said, let me tell you what is the biggest problem of all; the one that allows all these unscrupulous practices to thrive – the FDA offers a lot of latitude to manufacturers who sell natural products/ extracts, etc., unlike pharma companies that are forced to go through stringent checks. But, I‘ll leave that for another day and head right back into the debate. What is the other side saying about organic oils? The chemicals cannot possibly make it into the oil: This claim is the one that has maximum backing. According to supporters of non-organic oils, even if chemical fertilizers and pesticides are used on the plants, the residue does not make it into the aromatic extracts. Their pseudo-scientific reasoning for this claim is that the molecules of these chemicals are larger and heavier than those of the bioactives in the EOs, hence they don’t get distilled into the oil. The amount of chemical residue is too insignificant to matter: Even the anti-organic lobby has a few souls who accept that there is a possibility of some of the chemicals being distilled into the EO. But, they are quick to counter this with the claim that the amount of the chemical residue is so miniscule that it hardly matters. In other words, they are saying that because you don’t put a whole lot of chemicals in your body, there is no real danger, at least not today. There is no such thing as organic plant matter: When they are asked why not use organic growing methods, they refute this question by saying that there is no way to get 100% organic raw material for EO’s because the soil can always get passively contaminated if chemical pesticides and fertilizers are being used in the neighboring fields or even farmlands that are kilometers away. Organically treated plants produce lower quality essential oils: This is one of my personal favorites of all the claims made by the non-organic lobby. These guys have obviously gone to the depths of silliness to come up with it. 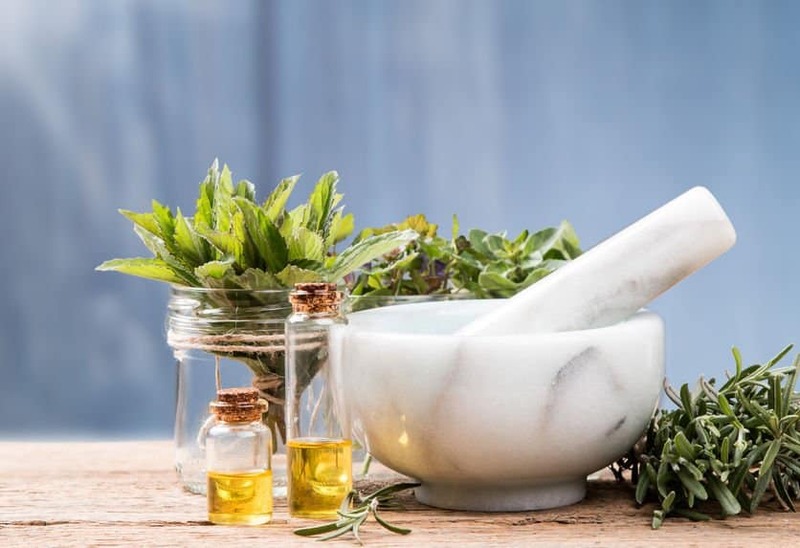 Hear this one out – Apparently, plants that are treated with organic pesticides and fertilizers are happy souls while those that are treated with chemical substances are stressed and the best essential oils only come from plants when they are under duress. Now, the problem with this argument is that a plant only gets stressed when it is under attack, once you fend off the invader, whether through organic or non-organic means, it goes back to being its happy self. If we were to only consider this argument, it would be best to not treat plants at all, organically or otherwise. 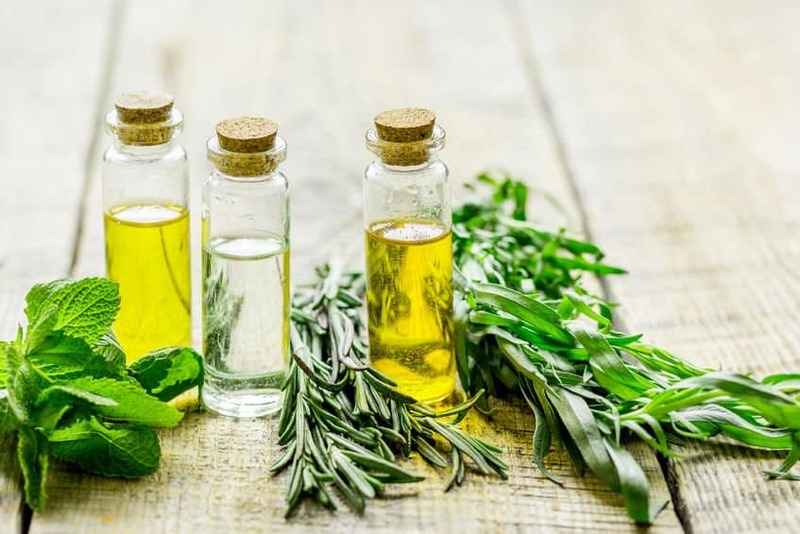 Let us willingly subject them to bacterial, viral and fungal attacks, so that we get the best essential oils and along with them the dangerous strain of the microorganisms that brought the plant down. There is no way to keep track of organic farming practices: Now, this argument is used by both sides to favor their viewpoint and I have to admit that there is some merit to it. The organic side uses it to bring the farming of the plants to US soil. This way the producers are forced to abide by certification rules and they can be sure that they are indeed getting organic produce. But, I am not a big fan of this approach simply because the best oils come from plants that are grown in their native environment. Unfortunately, the non-organic side tries to use this understanding to their benefit by stating that if the plants are grown outside the US, there is no way to impose quality control measures. They also add that there are no certification standards in most third world countries from where the raw material is sourced. Plants used to extract EO’s don’t actually need chemical pesticides: Another claim that often comes up is that EO’s have anti-fungal and anti-bacterial properties, so why would the plants that produce these extracts need chemical support to keep infections away? Hence, in reality none of these plants need or are treated with chemical products. There isn’t much of a difference except in the cost of the oils, so why bother: The previous point brings us to this one. If plants are not treated with chemicals, there really is no difference between organic and non-organic oils. In fact, those in favor of non-organic oils go so far as to say that manufacturers needlessly charge more in the name of supplying organic products. You cannot realistically produce 100% organic essential oils: This is the last bit of their argument and I have already spoken about this earlier in the article. Yes, it is true that chemical contamination can occur at any point in the manufacturing process, which would annul the benefits of using organic plant matter. Another point that is made over here is that some fungal and bacterial strains are resilient to all forms of organic treatment. So, plants that are infected by such microorganisms have to be treated chemically hence you cannot possibly get organic EOs from such botanicals. There, now you know all the point that are used to frame the argument in favor of and against organic essential oils. Now, let us look at the impetus that each side has to put forth their claims. Before I bring logic into this argument, let me tell you why both sides are arguing their points so passionately. For the organic lobby, it all comes down to their belief of living naturally. For the manufacturers of organic oils, it is a matter of justifying the higher cost of their products. For the non-organic side of the fence, it boils down to one thing – MONEY! Organic raw material, as you may have guessed, costs more. Now, don’t for a moment think that they are worried about you shelling top bucks for EOs. They are worried about their profit margins plunging in the face of increasing costs. Plus, if they sell non-organic oils, they don’t have to bother with testing and quality control. Turnover is high and even if their price per bottle is lower than that of organic oils, they make a killing with the low cost of production. What does common sense say here? Are there any clinical studies to prove that non-organic oils are at par with organic oils, in terms of quality and benefits? Since both sides don’t win this one, there is no question of one-upmanship. 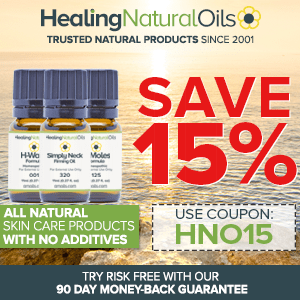 But, here is the deal – are essential oils or the bioactive compounds in them inert, meaning non-reactive? NO! How do we know this? Because we cannot store them in metal/plastic containers. We also know for a fact that they react and degrade when exposed to light, moisture and air. So, I suppose I speak for all of us here when I say that you don’t need to be a chemist to conclude that essential oils are reactive substances. This means that if the chemicals are a part of the distillation process, which they will be if used in farming, these chemicals can react with the EO’s as they are being distilled. Along the same lines, even if I were to agree that the actual amount of the chemical residue in the EOs is negligible, who is to say what reaction this can cause in the oils that are stored for at least a few months before they actually reach the consumers? And we are just talking about steam distillation here; expressed or cold pressed oils are extracted from the peels or rinds of citrus fruits. Now, this is the part of the plant that gets well coated with chemical pesticides and fertilizers. Obviously, the amount of chemical residue in such oils is bound to be higher. Argue with me on the point by stating that the peels get washed before being used in distillation and I would ask, then why in God’s good name are we paying more for organic oranges and other citrus fruit? The way I see it, the miniscule argument falls flat on its face pretty soon. According to the non-organic lobby it is OK to consume/use a small amount of chemicals. To this, I say the core of an apple is known to contain cyanide. Now, just because we eat apples without worrying about the small amount of cyanide in it, we don’t go about sprinkling cyanide on our food, do we? And with that, I rest my case! I would say strongly in favor of organic oils. Buying non-organic oils pretty much destroys the idea of going healthy and treating yourself in a wholly natural way. Does it really matter how much of a particular chemical substance you put in your body? It is a chemical after all and it WILL build up and it WILL harm you, if not today, tomorrow. The biggest question of all is this – Are you willing to take the risk? That said, let me clarify that buying a top quality EO is not just about checking the label for the word, “organic”. As I have explained to you, organic does not in any way mean the best. But, you sure can use the jargon and some research to get the highest quality EO’s that money can buy. Top Ten Tips To Get The Best Essential Oils! Don’t just buy any odd organic EO, look for 100% pure, organic essential oils. Wild crafted, 100% pure EOs are just as good. Purchase EOs that have been extracted from natively grown plant matter. Get to know the company you are buying from as well as their manufacturing practices. If they are using the word “certified” on their label, learn about this certification. Check the label or product information for the botanical name of the plant. I personally prefer buying from smaller manufacturers because this equates to shorter storage time, as they produce the oils in limited quantities. Buy from manufacturers that work closely with the farmers that source the raw material to them as well as the distillers. Purchase from makers who test each batch for quality. A company that cares to offer all the required information along with great after-sales support, definitely deserves your business. Thank you for explaining everything in here Olivia, this is so well explain. I would definitely follow all your tips before purchasing an essential oils. Sometimes, i wasn’t aware of that. Glad you explains in here so thank you. You’re very welcome. If you need further assistance please don’t hesitate. Are there specific brands that you would recommend? You can refer to the post below for a detailed review of 10 essential oil companies. Interesting reading. I’m definitely more aware of the some of the difference s between; Organic Essential Oils and Non-Organic Essential Oils. Olivia, you have a very easy, concise style of writing. No jargon. It really helped me to understand & read you quickly. Thank you for helping, people like me, ( who have recently started, to enjoy the benefits of, organic essential oils ) to become more aware of the processes used and differences, between the different above-mentioned oils. Sure, thanks for taking the time to write a comment. If you need any help, please don’t hesitate. Well said, some excellent writing and love the way you tore it down!